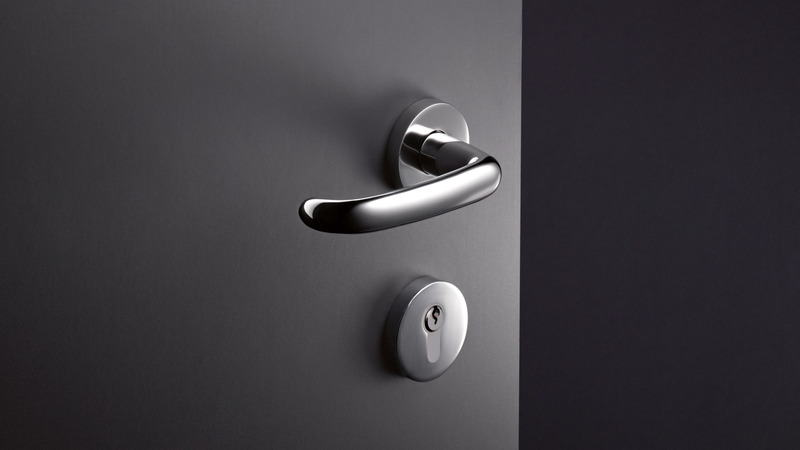 The door lever handle Range 170 is characterised by its simple, reduced form and harmonious lines. 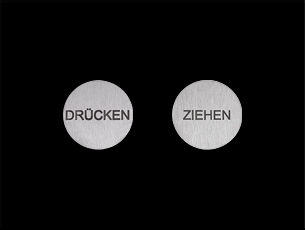 The curved style of Range 170 is matched optimally to the movement of the hand when opening and closing doors. The hardware enables flexible and safe use. The curve ends facing the door leaf, enabling good grip and preventing the hand from slipping. 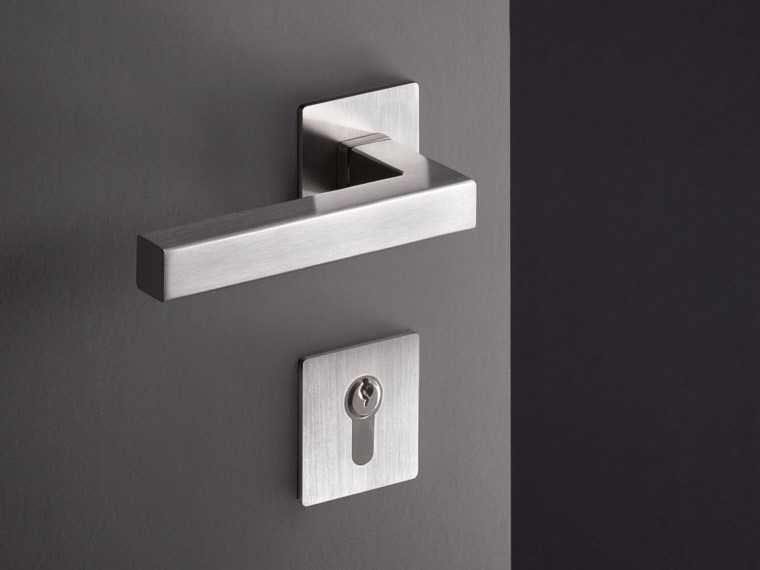 The organic shape of the lever handle makes it pleasant to touch. The Range 170 door lever fittings are available as standard door fittings, vacant/engaged fittings, apartment door fittings or as panel door fittings, especially for glass doors. 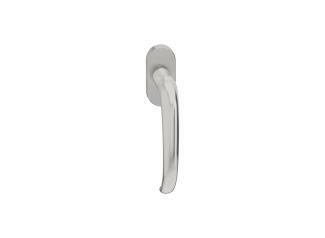 Window handles matching the Range 170 lever door handles are also available. 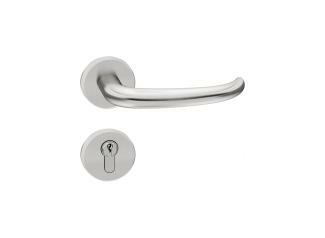 The lever door handles can be combined individually with roses, backplates or knobs. Due to the reduction in technical details, an extremely flat fixing solution is possible. The rose has an overall height of only 3 mm.